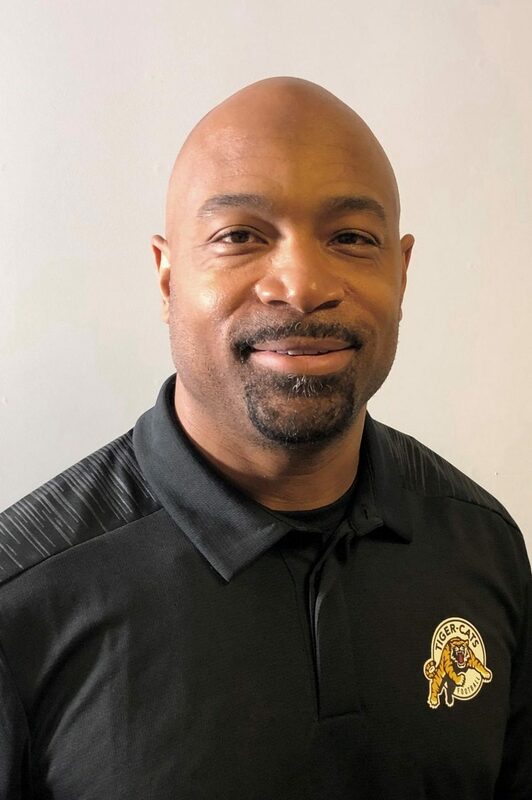 Mark Washington was named Defensive Coordinator and Defensive Backs Coach of the Hamilton Tiger-Cats January 16, 2019. Washington has 22 combined years of Canadian Football League experience as a player (1997-2007) and coach (2008-18) and is a three-time Grey Cup champion (2002, 2006, 2011). The Washington, D.C. native joins the Tiger-Cats after 11 seasons with the BC Lions where he most recently served five years as Defensive Coordinator (2014-18) preceded by six seasons as Defensive Backs Coach (2008-13). During his tenure as a coach in BC, Washington presided over 18 West Division All-Stars and 11 CFL All-Stars from the defensive back position. Prior to transitioning to the coaching ranks, the 5-9, 180-pound defensive back played five seasons for the Lions (2003-07) after six seasons with the Montreal Alouettes (1997-2002) where he began his CFL playing career. A natural dressing room leader and familiar face in Lions community programs, Washington was recognized for his inspirational play and charitable deeds by the Lions in 2003 with the Fred Dietrich Award, followed by the CFLPA’s Tom Pate Award in 2006 for outstanding sportsmanship in addition to significant contributions to his team and community. Washington attended Rutgers University and graduated with a degree in Industrial Engineering. He and his wife Judy have two children.